"I came here to play these types of matches and win titles. Being able to play a final is a very important and very happy moment,” Coutinho explained. In addition, the Brazilian said: "The days leading up to it are experienced with an eagerness to play, they are great moments and I am anxious for it to arrive. It's my first chance to play a final with Barça and I'll do everything that depends on me so we can play a great game." "In a final you never know what can happen, it's all different. It will be a great game and we have to play like Barça and look at our goals, always trying to win,” the No.14 also stressed. "On the way to the stadium I like to listen to music to concentrate. I like all kinds of styles, but I listen more to Brazilian samba songs. Joyful songs. Also, the day before, I try to think a bit about the game before going to sleep,” the No.14 said. 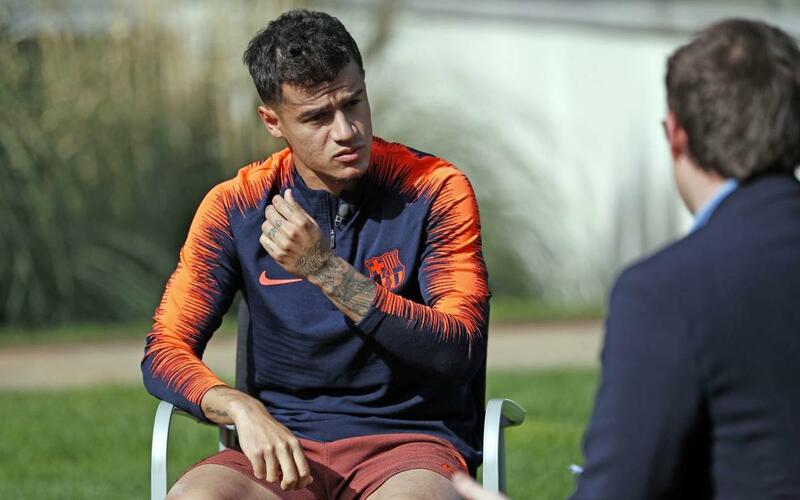 Finally, Coutinho also talked about his adaptation: "I'm trying to work hard to help the team. The position in which I play depends more on the coach, but I always try to be prepared, learning and listening, both to defend and to attack. I have to be prepared for when they need me, and I like being able to participate in attack and helping the team.